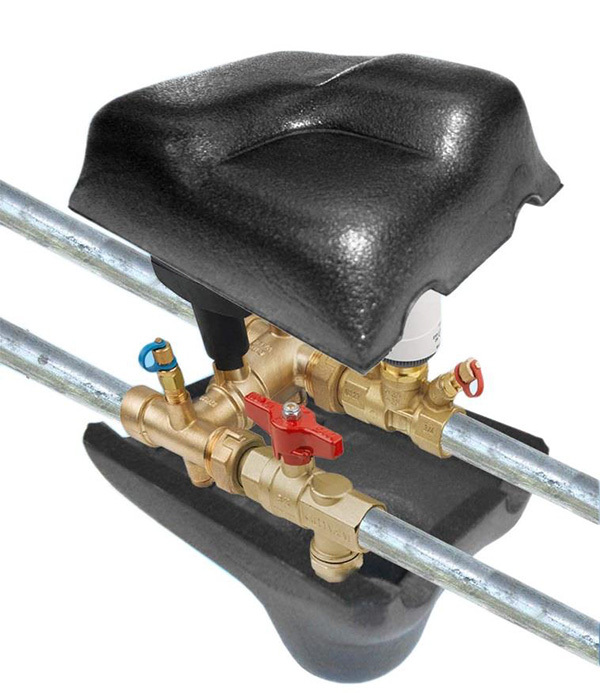 The Monolink is an innovative and ultra compact valve arrangement that minimizes the labour time and space required to connect system terminal units to distribution pipe. 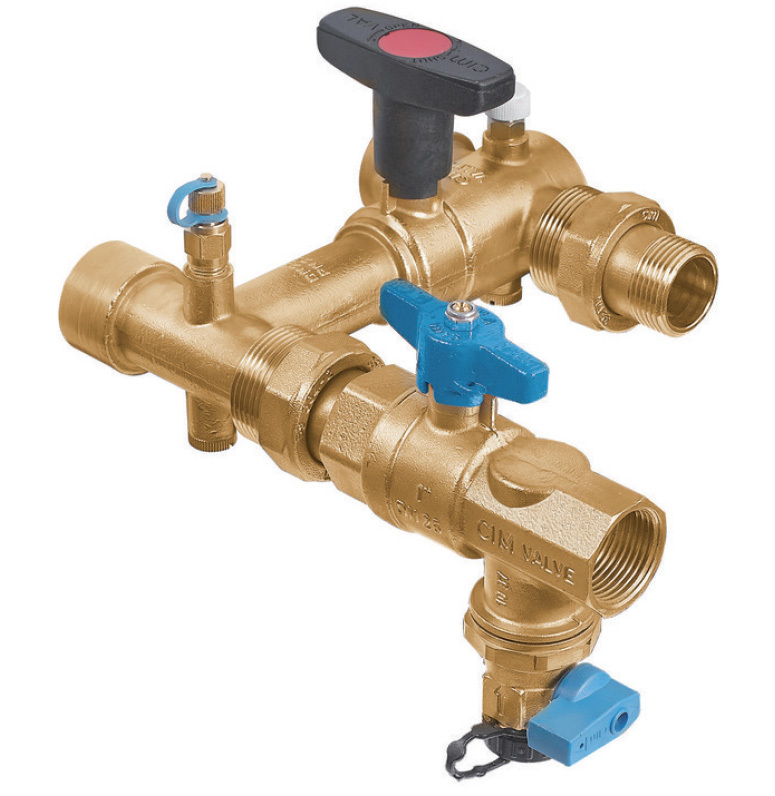 All the components required for flushing and commissioning the system in accordance with BSRIA “Application Guide AG 1/2001 Pre-Commission Cleaning of Pipework Systems” are combined in a single assembly which will fit in the tightest areas. 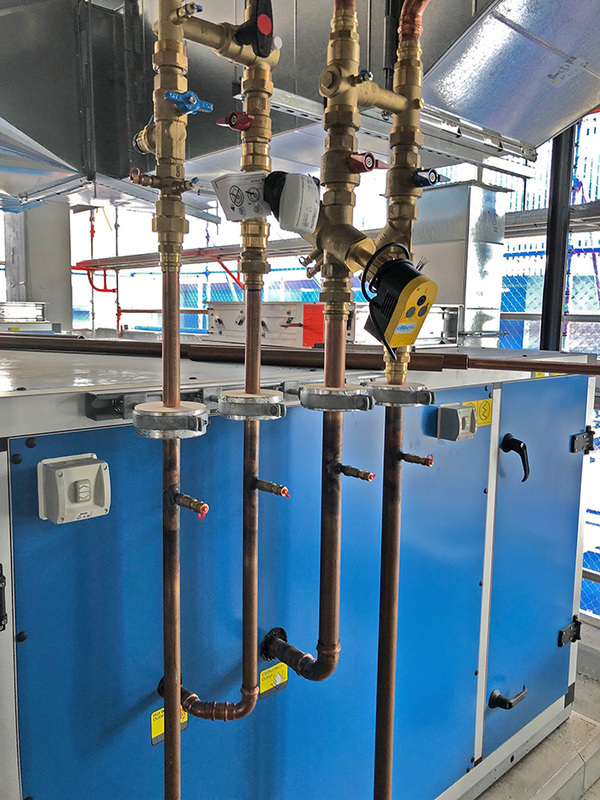 The Cimberio Monolink assembly incorporates isolation valves on flow and return sides, strainer, drain point, air bleed valve, test points, an inbuilt special bypass valve and, if required, either a manual balancing valve, automatic balancing, or pressure independent balancing control valves (PICV). The unit is manufactured, factory assembled and pressure tested in Italy, thereby minimising possible leakages. It is of full bore design with minimal pressure drop, and features integral unions for easier installation. It also made of DR brass, rated to PN25 and carries a 5 years warranty. In addition, a measuring station is often recommended to be added to the supply side of the terminal unit. This component becomes a versatile and useful asset for the commissioning person, especially when being used in conjunction with PICVs. 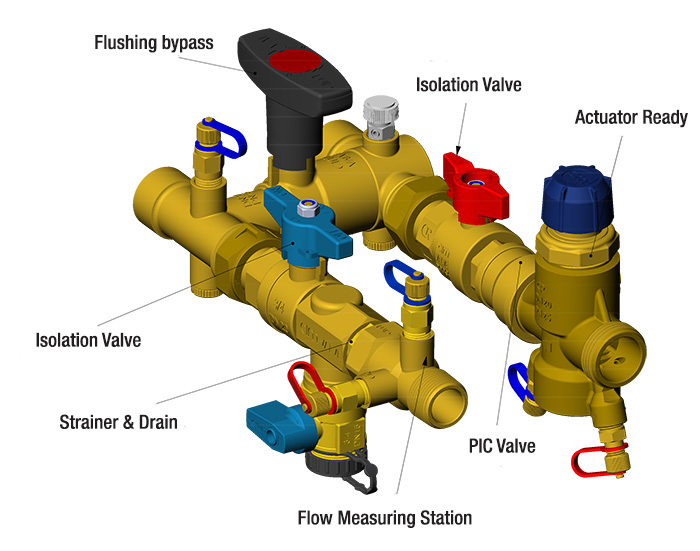 Some industry professionals prefer to verify flows through a measuring station, rather than relying on the method provided by the PIC valve and so this component offers the ability to provide a secondary measure to prove the flow rates. Not only that, but the additional test points allow for checking the pressure loss across both the strainer and the terminal unit. A full pre-formed custom insulation shell is also available for the Monolink assembly which can quickly and easily be removed for maintenance purposes.